We like supporting the Australian and New Zealand games industries at DDNet. It's where DDNet itself is from, of course, and on top of that it's an industry filled with really good people doing their best in difficult commercial and economic conditions. 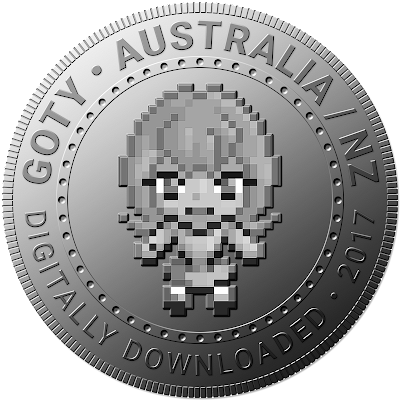 Australia, especially, gets no government support as the larger games industries in places like Canada tend to, and yet despite that - and the fact we have no large studios left to train up our next generation of developers - we produce amazing games year in, year out. Indeed, 2017 was one of the best years ever for the industry in terms of sheer creativity. The original Hand of Fate was a wonderful game, and the sequel is better on every level. 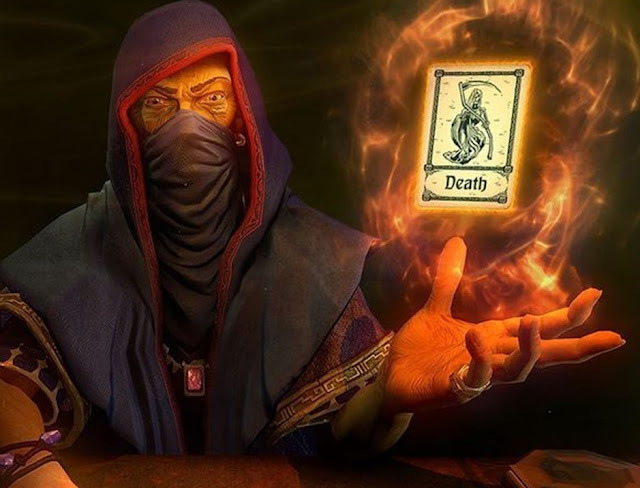 Part gamebook, part deck building card game, part furious action, and all class, Hand of Fate 2 drips with style, panache and precision. It's so carefully balanced and artfully designed that we will be playing this one for a very long time to come yet. 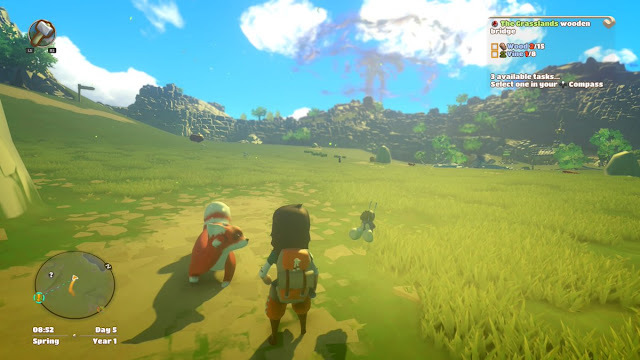 It's rare that a game is genuinely non-violent and positive in tone, and Yonder managed to be one of those games. It's an open world game with a strong fantasy vibe, where you explore, complete quests for the folk of the towns scattered about the place, and bask in the breathtaking the vistas. The difference is, compared to other open world games, that there isn't any combat whatsoever. No roaming monsters, no evil geniuses with plans. The most you'll interact with people is to talk to them, and for animals it's to make pets - no, friends - of them. Yonder is truly delightful, innocent, and charming, and there just aren't enough games like that out there. Golf Story really came out of nowhere. In fact, most of us didn't even realise it was an Australian-developed game for the longest period of time. It was released on the Nintendo Switch with little fanfare, and it was really only as people started to play it that that we all came to realise that this wasn't just a well made "little indie" game - it was the real marriage of personality, quality gameplay and clever art direction to make it a real charmer. 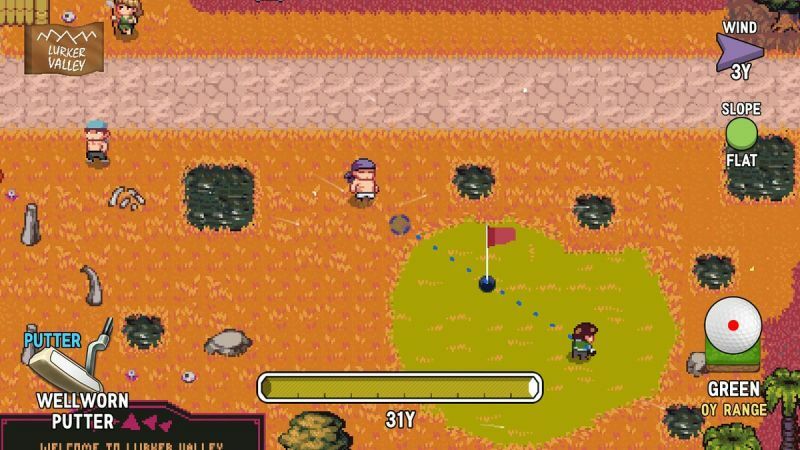 Sadly we never got around to do a review of this one at DDNet, but it really is a brilliant game that deserves all the praise that it has been getting since launching.